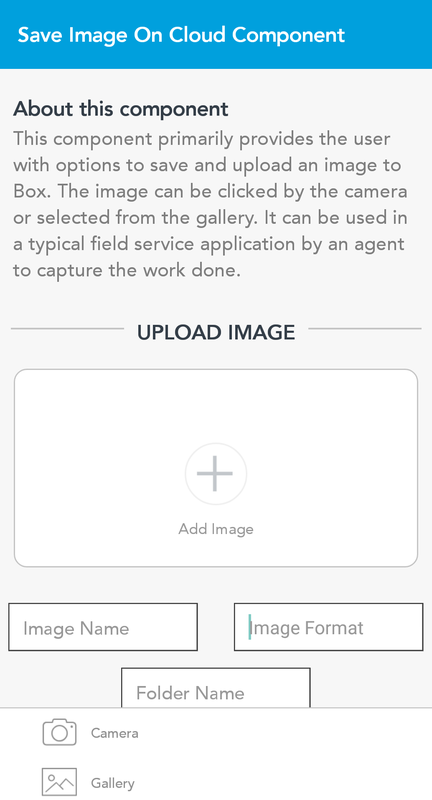 This component provides an easy way to capture and save images on the Box cloud storage service. 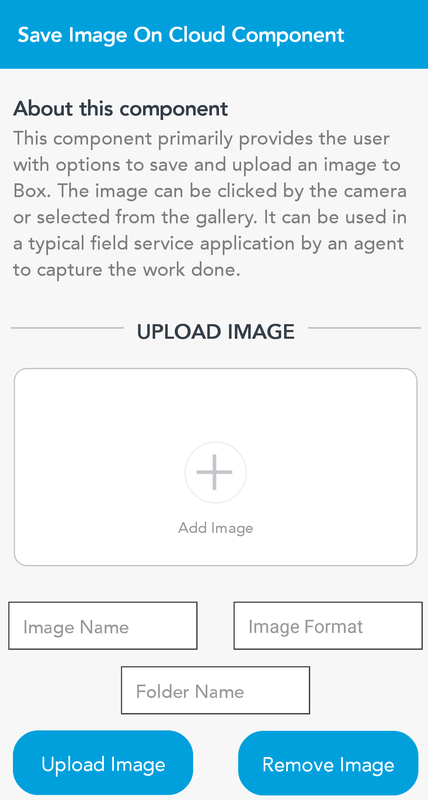 This use case is especially of use in field service applications where an agent/technician has to capture the defects, work done and other such information. This component leverages the Box data adapter already available in the Kony Marketplace. An image can either be clicked by the camera or selected from the phone gallery. The image format can be jpg or png.